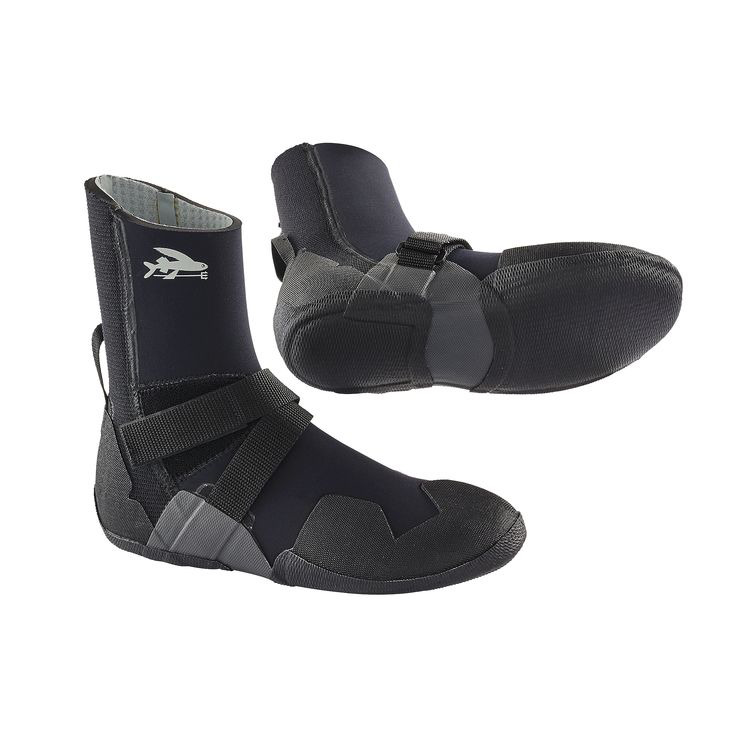 Our warmest surf booties for the most extreme cold, the R5® Yulex® Round Toe Booties feature 7mm 85% Yulex® natural rubber/15% synthetic rubber by polymer content; 100% external seam sealing; a fast-drying inverted microgrid interior lining; and a durable, textured sole for grip. Made in a Fair Trade Certified™ facility. Suggested water temperatures: 32–38° F/0–3° C.
Made from durable 7mm 85% natural rubber/15% synthetic rubber by polymer content, our R5® Yulex® Round Toe Booties keep your feet warm and comfortable while offering excellent dexterity and control in the most frigid surf conditions. With a fast-drying 95% polyester (51% recycled)/5% spandex inverted microgrid thermal lining, they have a round-toe design for maximum warmth and a flexible Supratex back for increased comfort and durability. Diamond-grip, nonmarking soles provide reliable traction, and a Z-Strap closure holds the bootie snug to your foot for extra support; the hook-and-loop patch is stretchy for increased flex as the foot and ankle move. Pull rings at the heels make the booties easy to get on and off, and are triple bartacked for strength. 100% external seam sealing eliminates leaks; all seams are triple glued and internally taped. Exterior face fabric is stretchy and durable 88% recycled polyester/12% spandex. The natural rubber content is derived from sources that are Forest Stewardship Council® certified by the Rainforest Alliance. Made in a Fair Trade Certified™ facility. Suggested water temperatures: 32–38° F/0–3° C.